While thousands of cargo ships move raw materials and goods throughout the world, naval vessels operate day and night to protect and serve. Both operate in the corrosive environment of salt water. 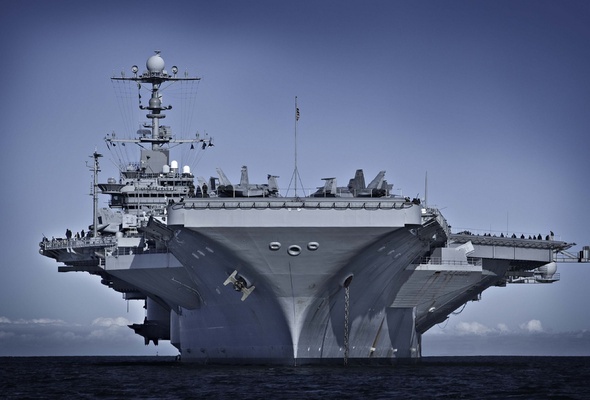 In addition to corrosion protection, many marine projects also require fasteners of superior strength functionality. Though the oceans are not full of harsh acids, salt water can be just as corrosive causing pitting and crevice corrosion, while debris and sands contribute to erosion corrosion. Ship builders are also faced with the challenge of galvanic corrosion when salts convey electric currents between dissimilar metals. Monel 400 and age hardened Monel K500 fasteners have long been the gold standard of salt water corrosion resistance. Though these are the most commonly used bolts for marine vessels and naval projects other materials also serve to protect from salt water corrosion. Monel 400 bolts offers excellent resistance, while Monel K500 similar resistance at 3 times the yield strength and twice tensile strength. AL6XN bolts were developed for marine conditions offering excellent seawater resistance. Duplex 2507 high resistance to pitting, erosion and crevice corrosion, as well as stress corrosion cracking in salt water. Titanium Grade 2 & 5 (6AL-4V) offers excellent resistance to salt water and essentially immune to corrosion. Titanium Grade 5 bolts offer superior strength-to-weight ratio, plus excellent resistance (140 KSI UTS). Duplex 2507 delivers 125 KSI UTS, plus excellent chloride protection. MP35N is the highest strength material we offer with an ultimate tensile strength of over 225 – 290 KSI. It offers excellent resistance to seawater.